Over 100 Village residents sign up to attend the upcoming Emotional Well-Being Discussion! 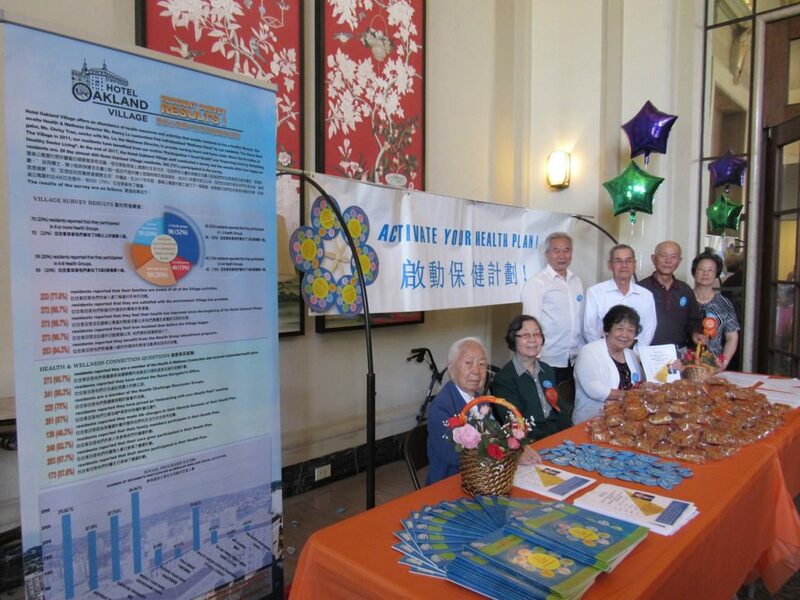 On September 20th at 2 p.m., Hotel Oakland Village’s Health Groups hosted the “Moon Festival” with a carnival atmosphere and fun game booths. The Health & Wellness Connection’s Committee members distributed moon cakes to 270 Village residents upon entering the festival. In addition, residents also received a new “Activate Your Health Plan!” button. Over 100 residents also signed up for the NEW “Emotional Well-Being Discussion Group” meeting which is scheduled for October 18th at 2pm and hosted by our on-site Clinical Psychologist, Dr. Alex Leung. The game booths were set up in the lobby and Tea room with colorful decorations by the Health Groups. Games included “read a riddle”, card games, spinning wheels, throwing balls in a basket, computer fishing, karaoke singing, pick red envelopes and recycle games. Participants were awarded with a variety of prizes. Laughter and smiles were heard and seen throughout the lobby and Tea room. We would like to thank our Hotel Oakland Associates Partner, Mr. Bill Langelier, for generously donating the moon cakes and prizes for the event. Additionally, a big THANK YOU to the Village Health Group Leaders and all the volunteers for making the Hotel Oakland Moon Festival a great success!! ← Please join the Emotional Well-Being Discussion Group – A New Interactive Wellness Discussion Group to Activate your Health Plan!